Blockchain. Probably the hottest buzzword in the market in today’s day and age. It’s mere mention heralds in promises of a Utopian world. It promises to bring in a revolution in all form of trading. Education Sector, Healthcare Sector, Tourism Industry are few of the places where Blockchain is being implemented. While these additions may be good news within the above-mentioned sectors, there is one reality that overshadows them all. The growth rate and innovations in the development of Blockchain Technology is unfortunately at a glacial speed. 2017 was supposed to be the year of the Blockchain. We were ready to see innovations, complete reorganisation within companies. We expected them to fall over themselves trying to be the forerunners who had managed to be the first to achieve this milestone. All we have gotten is a carrot on a stick that promises of a golden future. Nothing in hand. Lack of Awareness: This can’t be said enough times. Blockchain Technology is not restricted to Bitcoins and the many Cryptocurrencies that exist in the market. Blockchain acts as a virtual ledger. What this term defines is that it holds all data accountable. It is tamper-proof and secures data, Smart Contracts and thus creates related Nodes or Blocks. Adaptability problems: Blockchain has the potential of being the one ‘magic’ solution for all. 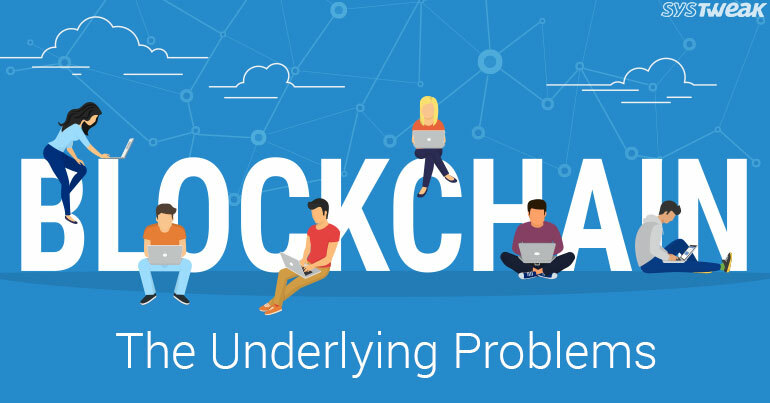 But, Blockchain is too complicated This is the most common complaint of a layman, every time they hear the term. While there is no denying that there are issues that are involved in its awareness, its lack of a user-friendly blanket platform doesn’t help it either. The algorithms involved are way over the pay grade of trader Joe. Accountability: As this is an open ledger format, the question that arises is who will be held accountable in case anything goes wrong? Once transactions are recorded or uploaded they cannot be changed or altered. To create forks and change data on the new chain shall only make a mess of the whole thing. Where is the accountability in this entire structure? The 51% Attack: One of the known downside of Blockchain technology is the 51% Attack. This situation arises when the majority share of the board goes over to any one particular individual who can unethically manipulate the board and ‘double spend’. Double spending is reusing coins that have already been used in a transaction before. Though there have been known instances of the 51% attack till date, its eventuality cannot be ignored. We stand to lose all of our assets in this extreme scenario. There is no denying blockchain is the future. But the slow development of the technology is making no friends, only foes. The Nay-Sayers are having a laugh at it. The centralized business outfits i.e. Banks, seem to be waiting in wings as once this technology develops, there is a chance of it leading Banks to go out of business. All technologies need time to develop. Giving it a benefit of doubt seems fair. Here’s hoping that as 2017 comes to a close, 2018 becomes the year in which we can achieve this next step. Blockchain everywhere!